Glow Worm Tunnel walking track is the fastest and easiest way to experience the wonder of this historic tunnel, lit by thousands of glow worms. 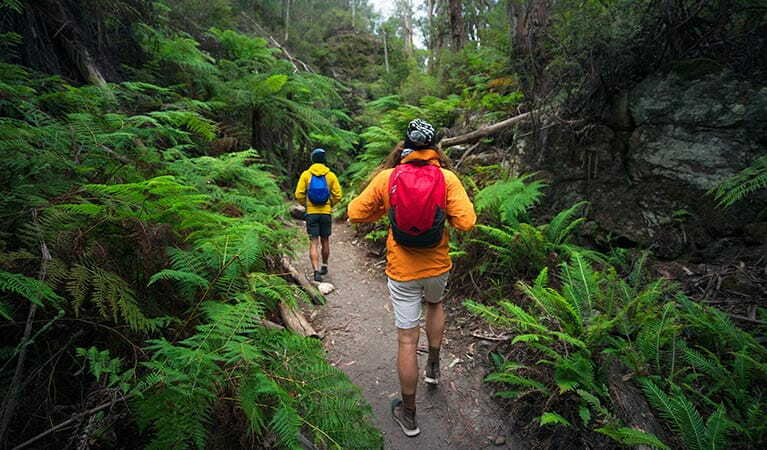 It’s a favourite with visitors to Wollemi National Park, near Lithgow. Please take care in the tunnel as the ground is rocky, uneven and slippery. It’s completely dark inside the tunnel, so remember to bring a torch. Try to keep noise to a minimum as glow worms are sensitive to sound. It’s best to visit during the week or in spring or autumn. It can be very busy and there’s limited parking during summer, weekends, and holiday periods. 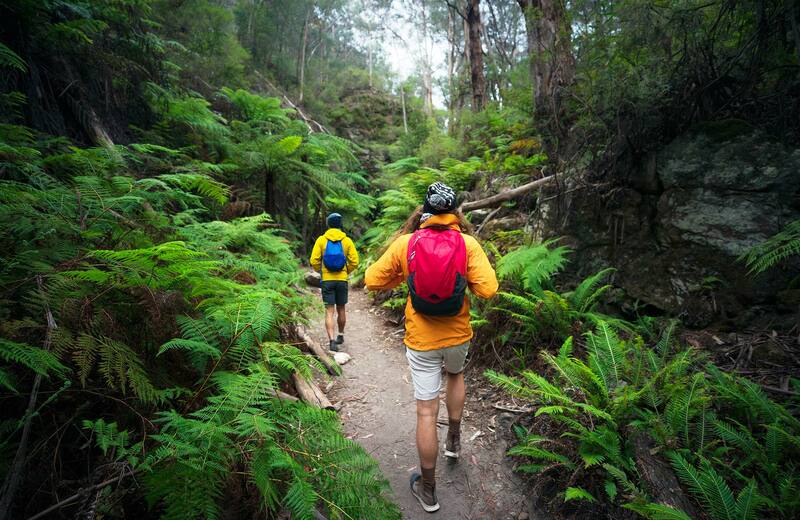 Please stay on the walking track to protect the fragile ecosystem in this World Heritage-listed national park. 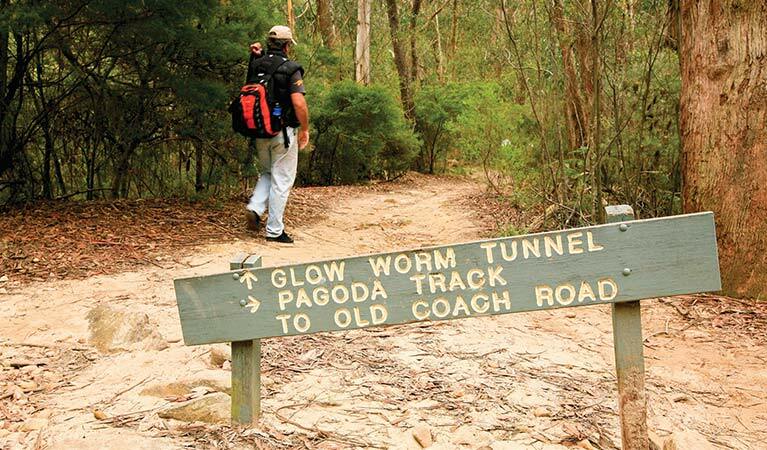 Glow Worm Tunnel walking track is a short, easy walking track, only a 2.5hour drive from Sydney. It’s popular with families and Sydneysiders keen to see glow worms in their natural environment. The track starts from the carpark at the end of Glow Worm Tunnel Road. 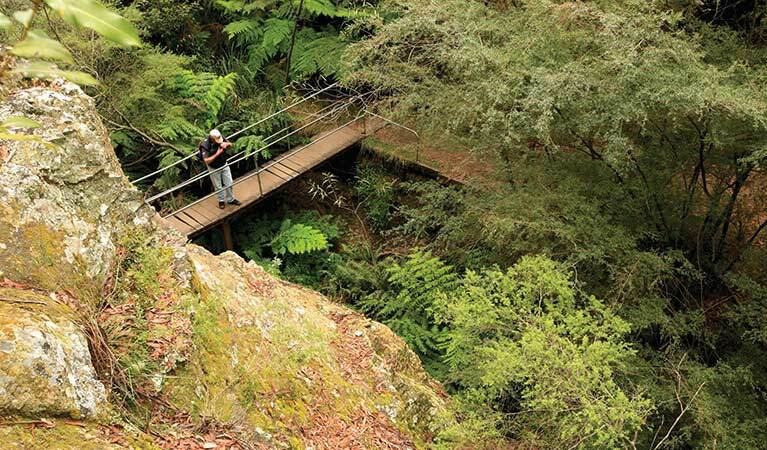 Enjoy the easy 1km walk to the tunnel entrance, past an impressive landscape of tall forests, lush tree ferns, narrow gorges and stunning pagoda rock formations. 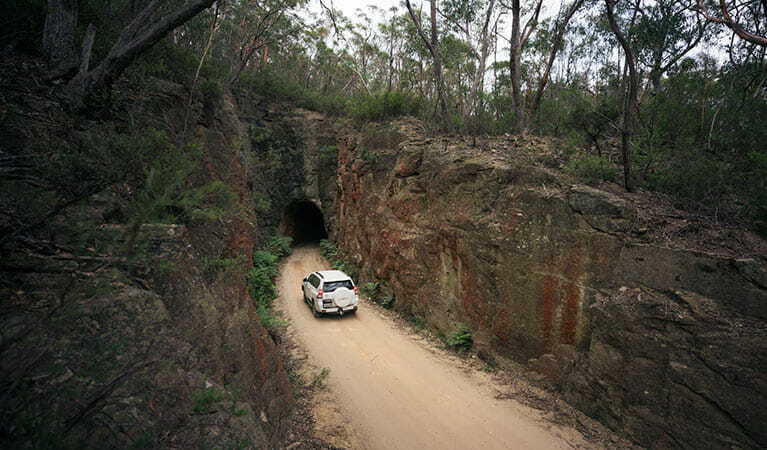 The 400m-long tunnel was built in the early 1900s as part of the railway for the thriving mining industry at Newnes. 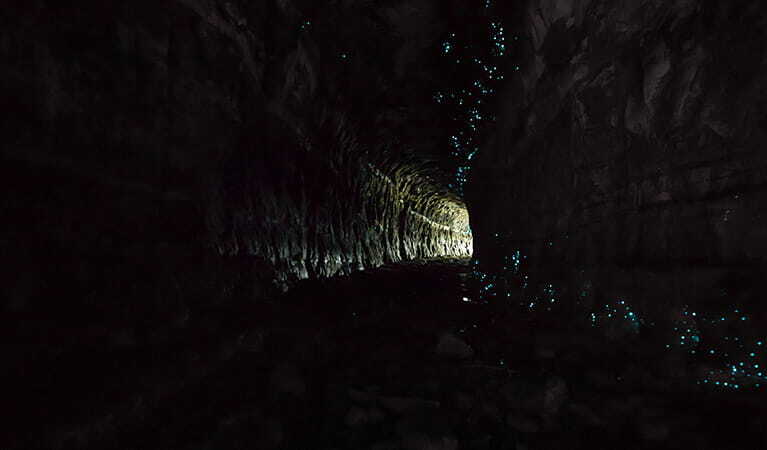 It’s now home to thousands of glow worms that cling to the dark, damp walls. Switch off your torch, keep quiet, and wait for the worms to light up the tunnel with pinpricks of blue light. On your way back, look for goannas and lyrebirds. If you’re lucky, you may spot a swamp wallaby or koala. During spring and summer, the walking track is dotted with yellow pagoda daisies, while banksias bloom in the cooler months. 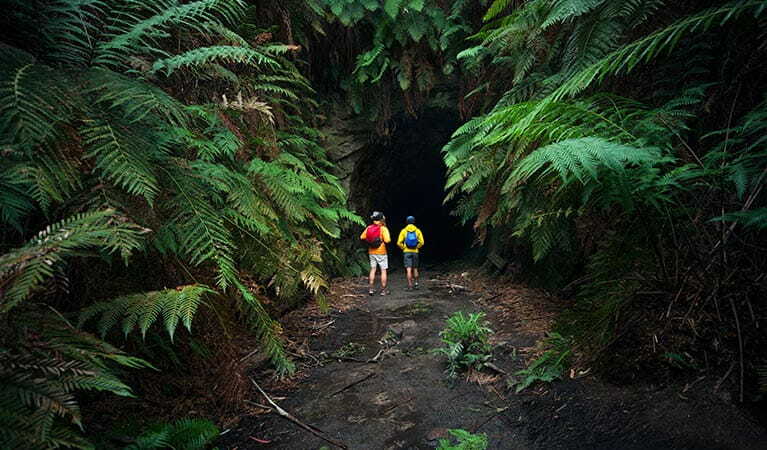 You can also access Glow Worm Tunnel from Old Coach Road or from Wolgan Valley Road near Newnes. If you’re up for a challenge, the 7.5km Wolgan Valley circuit is a 4hr loop that features pagoda and Wolgan Valley views. 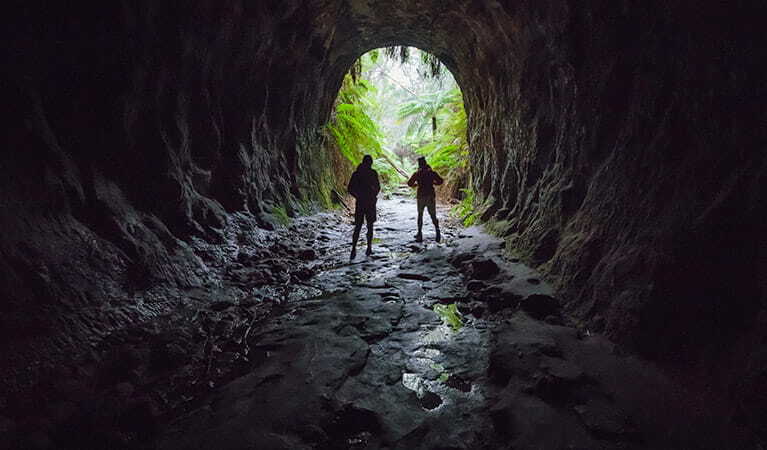 Once abandoned and now a natural wonder, Glow Worm Tunnel in Wollemi National Park is home to millions of little critters that simulate the night sky. Come and see this spectacular natural light show.